If you watched The Office last night, you might have seen a promotion at the end for a webisode starring Subtle Sexuality, a new girl group comprised of Kelly and Erin. The video isn’t embedding correctly, so here’s a link to the first of three parts. 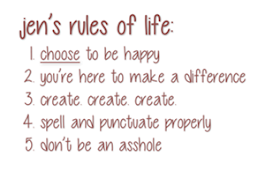 The second and third should follow. I’m liking Erin, the new girl; she seems to fit in well with the insanity of the ensemble, and I love how she takes the music video so seriously. But Andy? Nobody beats Andy these days. The thing last night with him and the birthing coaches and all that? Hilarious. And his cameo in the music video is priceless. Love him. Yes, Andy has been stealing scene after scene since the merger with Stamford. And, once again, last night, he was money! That look of dismay he gets when he knows he's gone too far, who has not been in those shoes...! But then, has there been an Ed Helms character we didn't like? I can't believe you weren't watching the World Series!